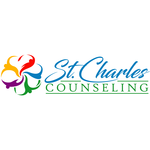 St. Charles Counseling - Where To? St. Charles Counseling's Nancy Kuhn, M.A., LMFT has practiced Individuals, Couples and Family Therapy for almost 25 years. Nancy helps people develop more satisfying and engaged relationships. She guides people to confront and overcome long-standing patterns of conflict and emotional isolation. Growing up in a family with alcoholism, bipolar disorder and divorce along with the loss of a sister at a young age, Nancy has found a way to use her life experience along with her extensive training to support and lead her clients in and through their struggles. Talking with a therapist helps many people improve their well-being and health by finding practical solutions to problems. Often, people seek therapy on the advice of a physician or a loved one. Some people are interested in learning how to prevent everyday troubles from becoming serious problems. Frequently, it is an overwhelming life crisis that may cause a person to seek help from a therapist. All couples experience conflict. However, the highest predictor of relationship success is HOW a couple manages that conflict. Counseling helps couples identify the ineffective behavioral patterns that are getting in the way of conflict resolution and teaches couples healthier conflict resolution skills. Family Therapy can involve teens and their parents, step-families attempting to join together and from a new family, adults and their parents, adult siblings, a married couple and their parents… Family Therapy is emotionally intense but can be very therapeutic to healing old wounds and preventing future bitterness and resentment. Adolescent counseling includes individual counseling and family work. Parenting an adolescent is difficult and often parents need guidance on how to help their child manage the stress and pressure they face; and even more often, parents need help communicating with their child who has become resistant to their leadership.